Although the Fifteenth Air Force was dismissed as 'minor leaguers' by the Eighth Air Force, strategic bombers from this outfit had done a 'major league' job on Axis targets in southern Europe following its formation in Italy in November 1943. 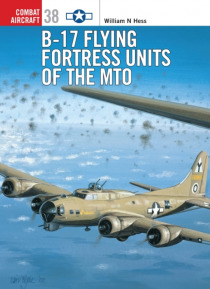 And the heavy bombers employed by the Fifteenth were of course the venerable B-17 and B-24. At its peak strength, the Fifteenth's B-17 force comprised six gr… oups of four squadrons each, all controlled by the 5th Bomb Wing. Having been a part of the Fifteenth Air Force in 1944, author Bill Hess has long been waiting to write a definitive account on 'his air force'.